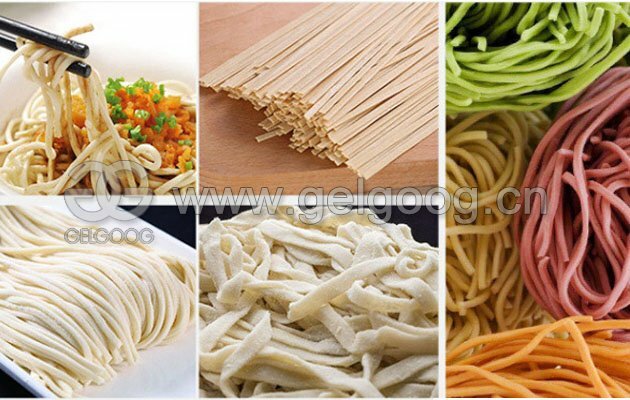 3 noodles cutting knife for free, easy operation, good quality, durable. 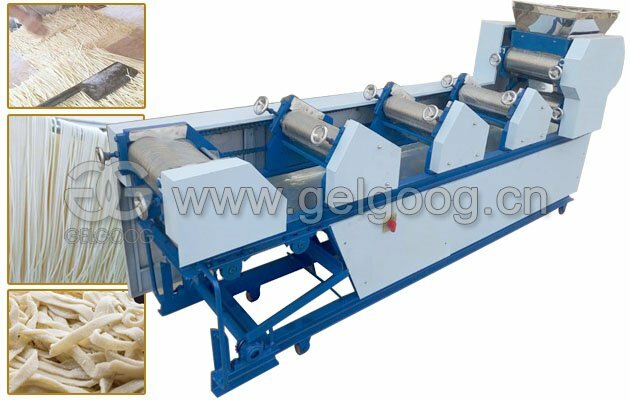 GELGOOG is specialized in food machinery, help you to easy enlarge business and saving labor, to win-win. Our factory tries best to sell good quality noodle making machine to you can provide excellent service. National unified quotation, strong sales team; Strong after-sales team help you use autoomatic noodle making machine without worries; Can start free trial for you, when you feel satisfactory then buy our automatic noodles making machine. If you are not familiar with noodles production, we can provide free processing formula for one-to-one teaching. 1. Automatic dough sheet folding: Width of 260mm, adjustable thickness. 2. Automatic dusting powder, powder amount can be controlled. 3. Automatic dough sheet rolling, which can be used according to the actual needs of customers. 4. Automatic noodles cutting, and the length of noodles is 50cm (adjustable for noodles length). 5. Variable frequency speed adjustment: The machine is equipped with three frequency converter control, enhanced operability, three deceleration motor drive, dynamic power. First, mix the flour first, then add appropriate amount of water for mixing, after well mixed, pour the mixed flour our into the machine hopper. 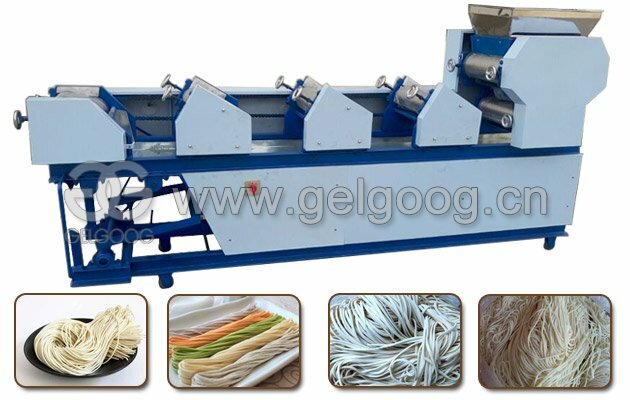 Second, dough kneading and pressing: First group of noodles roller uses twill roller, no slippage, no adhesion, no breaking, greatly increase the pressure and strength of noodles, during the pressing process, we adopt frequency conversion speed. Third, cutting noodles: Noodles forming plays an important part in noodles production. Automatic cutting adopts high precision hob, durable, equipped with a conveyor platform, easy for picking up noodles. 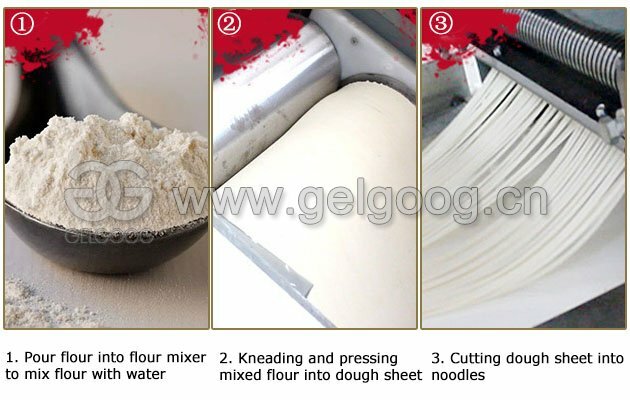 If you just want to make dough sheet: When making dough skin, remove the cutting knife from the machine, then pour mixed flour into the machine hopper, then can finish dough sheet production, this machine can make all kinds of wrappers, high yield, ultra-thin skin can reach 0.4mm thick with automatic double flour spraying sevice, spraying uniformly, not leaking powder, the amount of powder can be adjusted freely. Q: What is the price of automatic noodle making machine? A: You can see for one machine also have different production capacities, you can tell us your specific requirement, so we can send you suitable machines. Q: I want to produce wide type noodles, can this machine do it? A: Yes, usually we provide 3 noodles cutting knife for free, you can tell us noodles size you want to make, we can customize for you. Q: Which kind of payment term you can accept? A: T/T, L/C, Western Union, Money Gram.